Stooge. Lackey. Collaborator. These adjectives are but part of the typical odious memories we Filipinos have of Jose P. Laurel, and it’s not hard to blame us. After all, he was the puppet president of the Japanese during World War II, right? 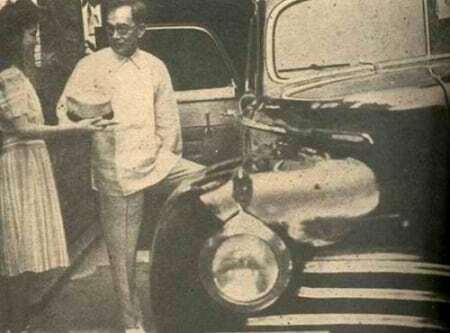 However, his role during those trying times has overshadowed the fact that he is probably one of the most accomplished Filipinos of all time, an intellectual giant admired by the likes of Jovito Salonga, Lorenzo Tañada, Claro M. Recto, and countless others. Even during the Japanese occupation, Laurel’s fiercely nationalist streak—his patented reputation under the Americans—showed itself when he overtly or covertly undermined the Japanese rulers every chance he got, all for the sake of his countrymen. Thus, it’s only right that we re-orient ourselves and get to know Laurel not as a puppet president, but as one of the most badass Filipinos to have ever lived. 1. The “P” in his name is a tribute to Jose Rizal’s brother. 2. He often clashed with the American governor-general. 3. He is the only president to have served in all three branches of government. 4. He was a reluctant collaborator. 5. Jose Laurel survived three gunshot wounds. 6. He turned Malacañang Palace into A Filipino fortress. 7. He saved Manuel Roxas’ life…twice. 8. He also saved an aide from the Japanese. 9. He refused to draft a single Filipino into the Japanese military. 10. The judge trying his treason case resigned to defend him instead. 11. He ran for Senator one last time and won. Portrait of Dr. Jose P. Laurel, donated by Mr. Laurel IV as of April 29, 1991. Source: Jose P. Laurel Memorial Foundation, Inc. Contrary to popular belief, the “P” is not really Laurel’s middle name. Born Jose Paciano Garcia Laurel, his second name was given to him by his parents as a tribute to Paciano, Jose Rizal’s older brother who served as a general during the Philippine Revolution. 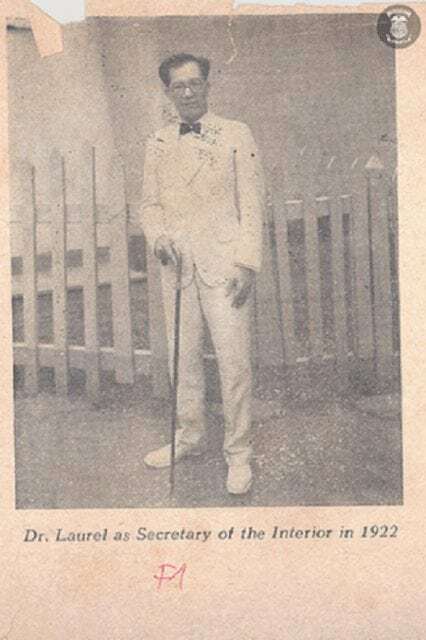 Laurel’s father, Don Sotero, himself served as Secretary to the Interior under Emilio Aguinaldo’s Revolutionary Cabinet and was also a signatory to the Malolos Constitution. During his service as Secretary of the Interior under Governor-General Leonard Wood, Laurel’s high-spirited nationalism often clashed with that of Wood whom many Filipinos viewed as unsympathetic to the cause of freedom. Laurel also single-handedly caused a “cabinet crisis” in 1923 when his resignation sparked his fellow Filipinos to also resign from their positions. Laurel’s resignation was a form of protest against Wood for reinstating an American police he had previously suspended for being corrupt. 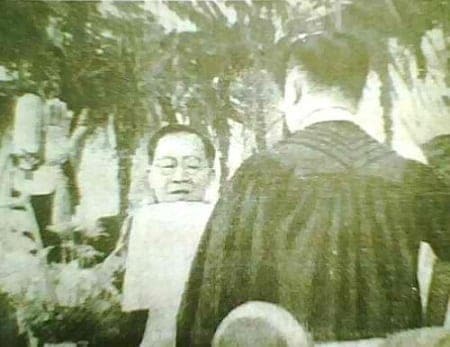 Jose P. Laurel is being sworn in as the President of the Japanese-sponsored Philippine Republic in 1943. Source: Wikimedia Commons. No other Filipino president apart from Laurel can claim to have worked in the executive, legislative and judicial branches of government. Besides being a president, he had also been a senator and an associate justice. Aside from that, he also served in numerous government and cabinet and elected posts during his long and illustrious career. 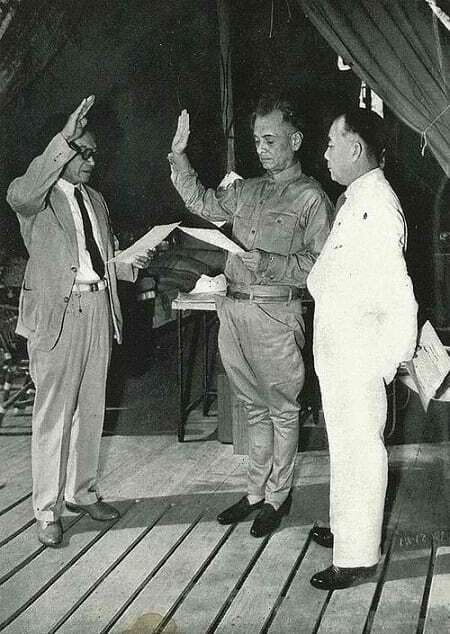 December 17, 1941: President Manuel L. Quezon swearing in Dr. Jose P. Laurel as Secretary of Justice of the War Cabinet, at the former’s Marikina hideout—now the Philippine School of Business Administration along Aurora Boulevard. Jorge B. Vargas looks on. Source: Presidential Museum and Library’s Official Tumblr Page. Perhaps the biggest myth that needs to be dispelled is the notion that Laurel had been a willing collaborator with the Japanese. True, he liked to criticize the Americans and MacArthur hated him enough to detain him upon his return. In reality, however, it was his boss Manuel Quezon who ordered him to stay because someone will have to meet the Japanese. In this case, Laurel was the perfect man to soften the blow of enemy occupation, having received an honorary law degree at Tokyo University. Long story short, Laurel just got the lousiest job in the world, considering that he had to appease the Japanese while at the same time look out for his fellow Filipinos. 1943: President Jose P. Laurel was confined in the Philippine General Hospital after an assassination attempt against him the day before in the Wack-Wack golf course in Mandaluyong. Source: Presidential Museum and Library’s Official Tumblr Page. 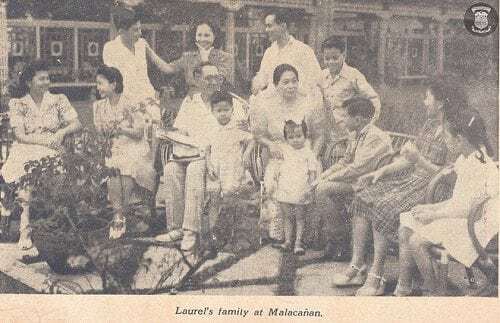 Besides surviving being beaten up with a cane (and almost killing his assailant in turn) sometime in his youth, Laurel also survived three bullet wounds while playing golf at Wack Wack Golf Course in Mandaluyong on June 5, 1943, the two of them nearly hitting his heart and liver. Fortunately, Laurel survived after being operated on by the top Japanese military surgeon. Although the Japanese quickly captured and executed two suspects, Laurel saved another, ex-boxer-turned-guerrilla Feliciano “Little Jo” Lizardo, by deliberately failing to identify him when the Japanese brought him to his hospital room. Lizardo would later become Laurel’s loyal bodyguard up until his death in 1959. Bizarrely, the Japanese took the assassination attempt as a good omen. To them, it meant he was really pro-Japanese and would make a good puppet president (they were wrong). Laurel family at Malacañan Palace. Photo courtesy of Presidential Museum & Library and National Library of the Philippines. Although he was a puppet in the hands of the Japanese authorities, Laurel made sure that Malacañang Palace would remain firmly all-Filipino. He posted Filipino sentries, turned a blind eye to the subversive activities of his subordinates, and was even said to have secretly provided refuge to insurgents. His term in office was also marked with transparency and austerity as Laurel did his best to empathize with the people’s suffering, methods which included eating only root crops and vegetables. However, his most courageous decision was barring Japanese soldiers and even officials from hanging around the Palace. He essentially told one Japanese consul to get lost after the latter offered to be his personal adviser. 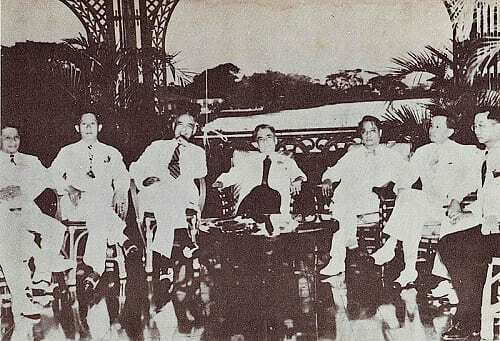 The Quezon Cabinet in the Pasig River balcony of the Palace. 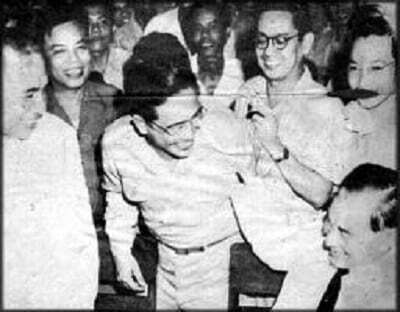 Left to right, Jose Avelino (Secretary of Labor), Benigno S. Aquino Sr. (Secretary of Agriculture), Rafael Alunan (Secretary of the Interior), Quezon, Manuel Roxas (Secretary of Finance), Jose Abad Santos (Secretary of Justice) and Jorge Bocobo (Secretary of Public Instruction). Source: Quezoniana Tumblr Page. Laurel would also be instrumental in saving Manuel Roxas’ life not just once but twice. The first occurred in 1942 when Laurel successfully convinced General Masaharu Homma to have Roxas, then languishing in a Mindanao prison camp, released. Unfortunately, Laurel could not save Jose Abad Santos whom the Japanese hated for not cooperating with them. The second occurred in 1944 when Colonel Akira Nagahama of the dreaded Kempeitai (Secret Police) came to Laurel’s office in Malacañang and demanded he hands over Roxas. At this point, Roxas had become Laurel’s adviser but still maintained contact with the rebels with the full consent of his boss. Although an infuriated Nagahama showed a volume of evidence against Roxas and with the latter a mere two rooms away, Laurel told him “You can go and get Roxas, but you’ll have to kill me first.” Amazingly, the Japanese backed down. 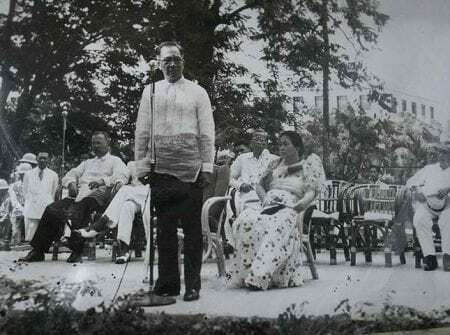 President Laurel speaking before Malacañang staff for the Annual Christmas Party and gift-giving program taken December 19, 1943. Source: Jose P. Laurel Memorial Foundation, Inc.
Aside from Roxas, Laurel also saved the life of his aide-de-camp Major Jesus Vargas from the Kempeitai. Apparently, the Japanese police ordered him to turn over Vargas after they discovered that the latter had also been secretly supporting the rebels just like Roxas. Laurel instructed Vargas to tell the Japanese by phone that he could not accept their “invitation.” Afterward, he placed a hundred of his guards around the Palace and told them to shoot any Japanese who wanted to enter. They never came. 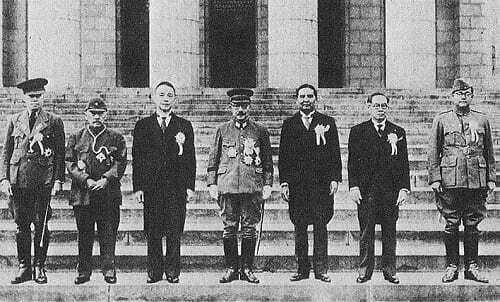 1943 Greater East Asia Conference, from left to right: Ba Maw, Zhang Jinghui, Wang Jingwei, Hideki Tōjō, Wan Waithayakon, José P. Laurel, Subhas Chandra Bose. Via Wikimedia Commons. Although we already know that he declared martial law and war against America and the UK in September 1944, it is interesting to note that Laurel did so only under threat of death by Japanese authorities. Previously, he had resisted several times to declare war on the US, reasoning that no Filipino would follow him anymore and that it would tarnish their image internationally if they fought against their erstwhile allies. When he finally did acquiesce to their demands, he did not even actually declare an active war, but made a passive pact instead, saying that “a state of war” exists between the Philippines and the US. Even more courageously, in the same speech, he also proclaimed that there would be no conscription—a slap to the face of the Japanese who by then were being steadily beaten. Laurel’s move reportedly prompted Yamashita to comment that the declaration of war was virtually useless. After the war, clamor for Laurel—now imprisoned—to be exonerated ran so high that one judge actually resigned from the court set up to try collaborators to become chief of his defense counsel instead. Laurel himself proclaimed his innocence in court with a fiery speech stating he was “neither pro-Japanese nor pro-American but pro-Filipino” and that he was satisfied to have answered his country’s call of duty when it needed him most. Subsequently, his trial never took off after President Manuel Roxas issued a sweeping amnesty declaration for all political prisoners and collaborators in 1948. Photo courtesy of Presidential Museum & Library and National Library of the Philippines. Although the amnesty somewhat denied him a chance to prove his innocence, Laurel would later achieve his personal vindication when he made the last Senate run in 1951. During that race, he garnered the highest number of votes among the candidates. 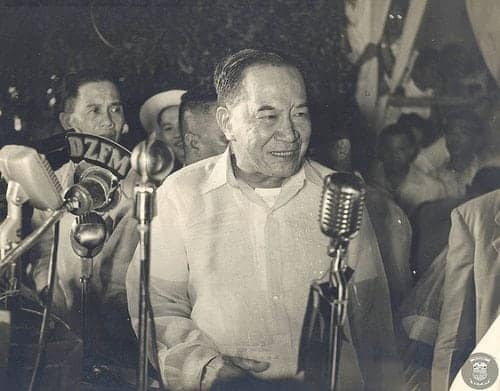 After serving his term, he retired from public office and dedicated his time to his family-owned Lyceum of the Philippines, although he continued to be revered as a statesman up until his untimely death from a cerebral hemorrhage on November 6, 1959. In keeping with his wishes, he was given no eulogy during his funeral. Chua, M. (2012). Jose P. Laurel, Taksil o Bayani?. [online] It’s XiaoTime!. Available at: http://goo.gl/Bm80JG [Accessed 29 Aug. 2014]. Halili, C. (2004). Philippine History. 1st ed. Rex Bookstore, Inc., pp.185-186. Javines, F. (1992). Our March of Death and People Power from Mactan to EDSA: In Articles and Poems. 1st ed. Rex Bookstore, Inc., p.62. Jose P. Laurel Memorial Foundation Inc., (n.d.). 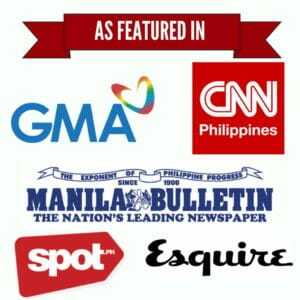 Jose P. Laurel: Biographical Sketch. [online] Available at: http://goo.gl/c7xbdx [Accessed 29 Aug. 2014]. Karnow, S. (2010). In Our Image: America’s Empire in the Philippines. 1st ed. Random House Publishing Group. Lawrence Journal-World, (1946). Foreign Briefs. [online] p.4. Available at: http://goo.gl/ISy9jq [Accessed 29 Aug. 2014]. Lyceum of the Philippines University – Manila Official Website, (n.d.). History of LPU. [online] Available at: http://goo.gl/T3uG6d [Accessed 29 Aug. 2014]. The Kahimyang Project, (2012). 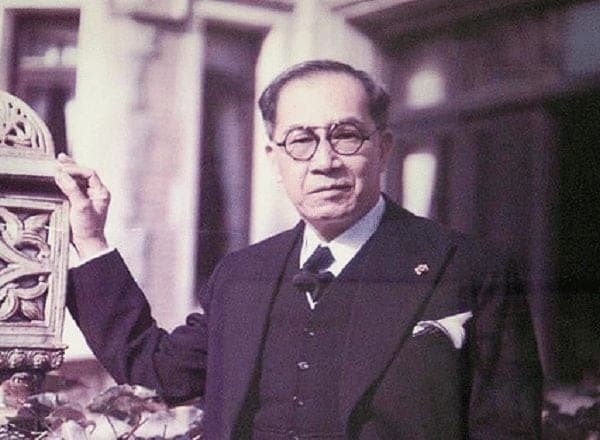 Today in Philippine History, November 6, 1959, Jose P. Laurel died unexpectedly of a cerebral hemorrhage. [online] Available at: http://goo.gl/WUDCnj [Accessed 29 Aug. 2014]. The Official Gazette, (n.d.). The Execution of Jose Abad Santos. [online] Available at: http://goo.gl/OEvLQ4 [Accessed 29 Aug. 2014]. Valencia, T. (1976). Valencia, Thirty Years in Philippine journalism. 1st ed. p.185. Yam, J. (2013). Lorenzo M. Tañada: Lawyer And Public Servant. 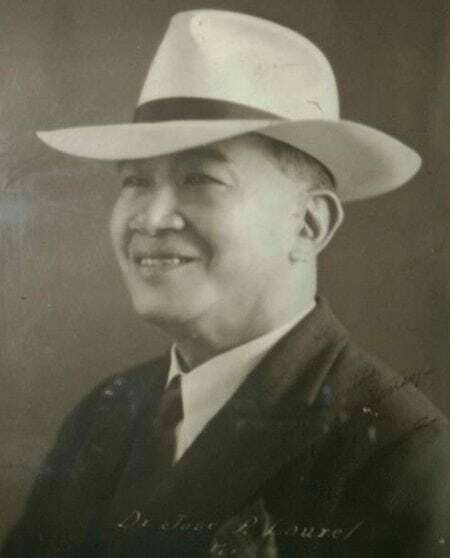 [online] Lorenzo M. Tañada – A Tribute To A Filipino Hero. Available at: http://goo.gl/sveWBo [Accessed 29 Aug. 2014].